Winter is coming….and I have been eating like a bear preparing to hibernate. You’d think I might not survive the long, freezing winter if it weren’t for the way I’ve been indulging lately. There is no reason for me to be going all out on every cookie, chocolate candy, and piece of garlic bread in sight or it’ll be a very long winter for me and my jeans. So to help cleanse my bad eating habits as of late, and to not pack on a my own personal winter layer I made this Fall Harvest Salad with roasted butternut squash and brussel sprouts, crisp apples, dried cranberries, and a sprinkle of blue cheese, dressed with a simple champagne vinaigrette to help lighten things up. I love salads with roasted veggies and this one can be thrown together with any roasted veggies you have. I love roasted brussel sprouts and butternut squash together, and it’s so easy to throw them on a pan together for the perfect fall veggie combination. 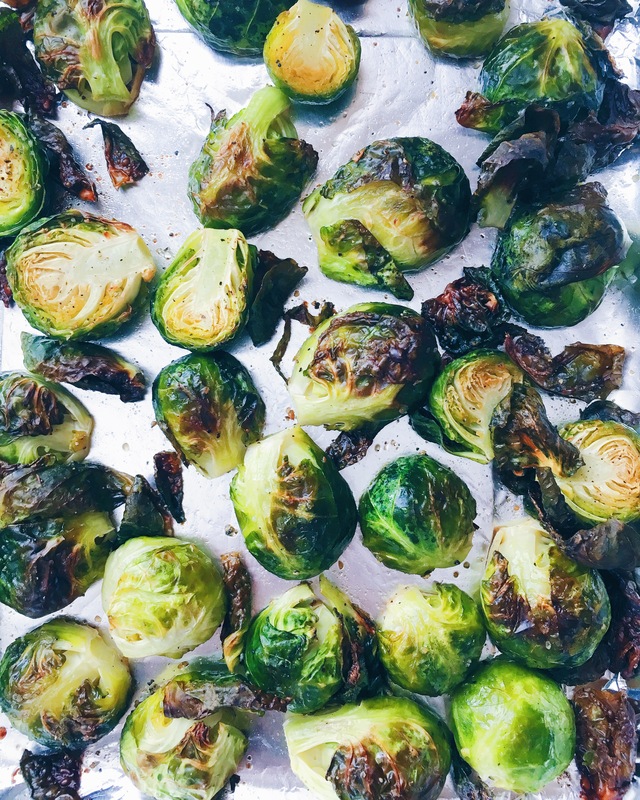 I love when the brussels are fresh out of the oven and eating all the crispy leaves that get separated. There are so many flavors and textures in this salad making it really satisfying. It doesn’t make you feel like you’re eating a salad and you could also top it with some chicken for added protein making it a perfect light meal. 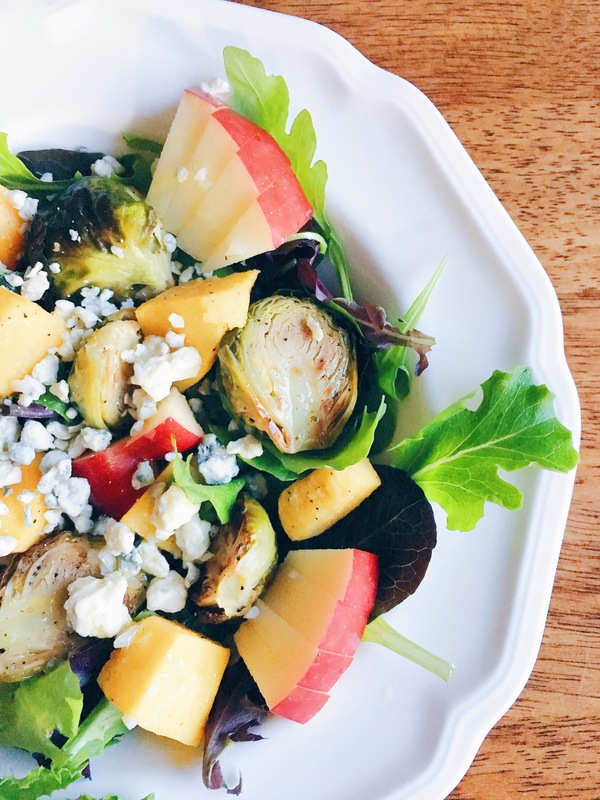 This salad is flavorful, full of color, and a great way to add in the beautiful fall produce that’s available this time of year. For the champagne vinaigrette, combine the olive oil, champagne vinegar, shallot, garlic, salt and pepper in a jar, cover tightly and shake well until full combined. 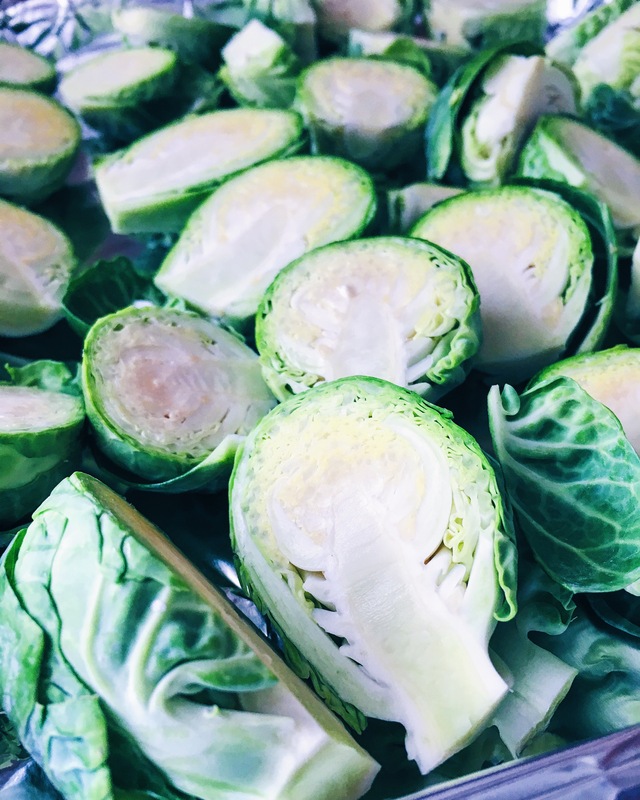 For the roasted vegetables, roast the butternut squash and brussel sprouts in advance, let cool to room temp or chill in the fridge until ready to use for the salad. 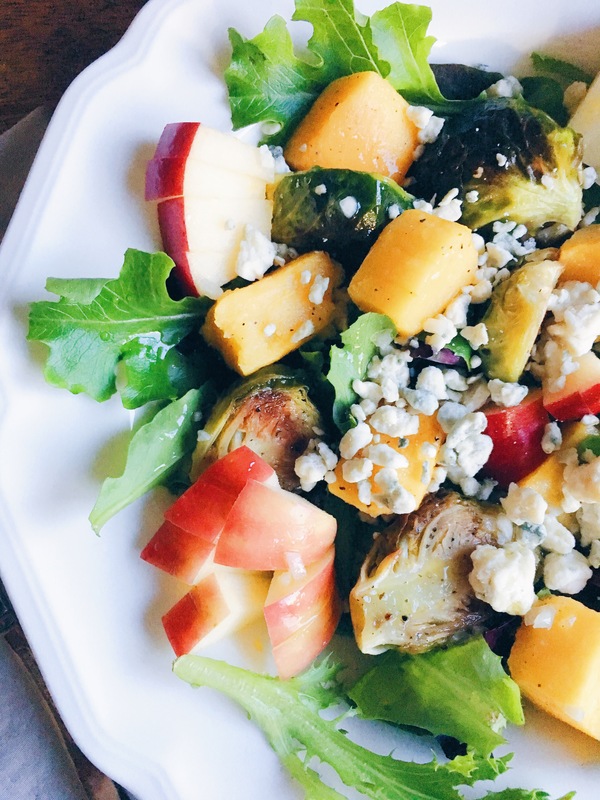 For the salad, lay a bed of lettuce on your plate and top with the roasted vegetables, dried cranberries, apple, crumbled blue cheese and dress with the Champagne Vinaigrette.